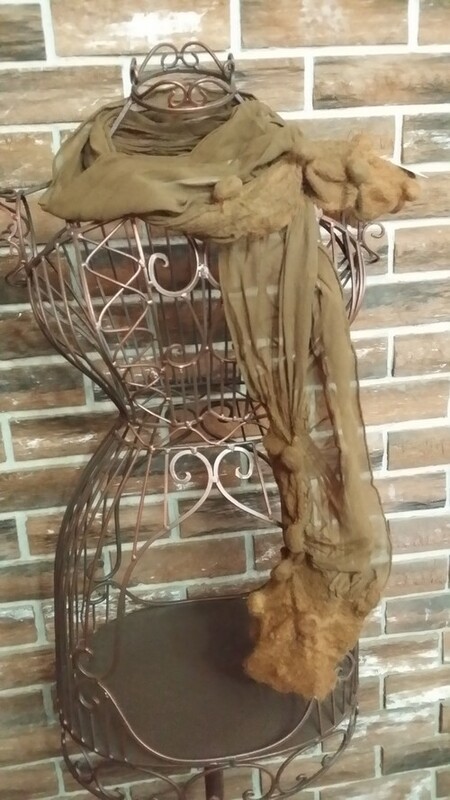 This silk scarf was hand dyed with walnut hulls then felted with alpaca. 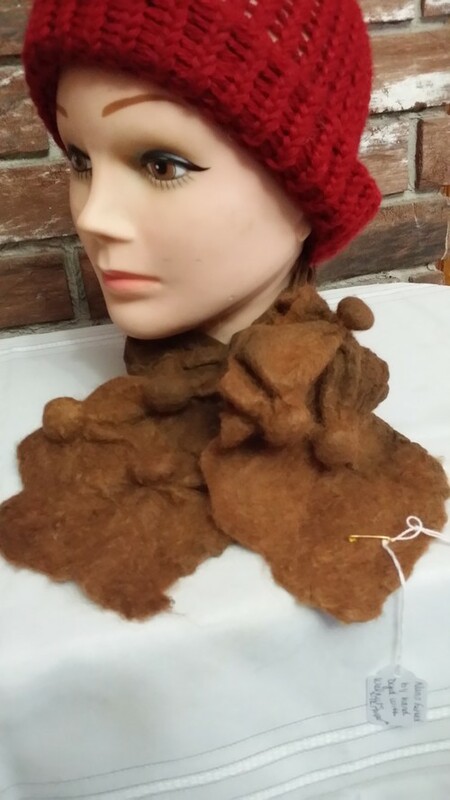 The alpaca fiber is from alpacas raised on our farm. 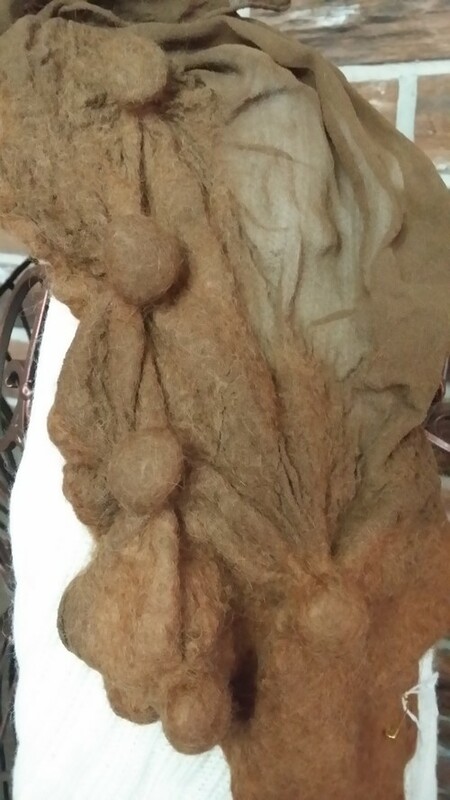 It was also hand dyed with walnut hulls. 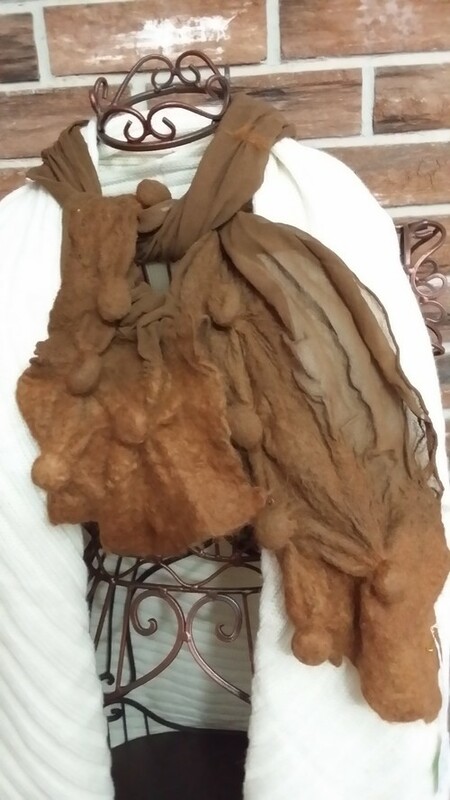 Nuno felting is the process of gently easing fibers to migrate through the silk scarf by wetting with soapy water and gently tapping and rubbing until the fibers become one with the silk.